We have reviewed plenty of Ainol tablets so far and I have to say that this brand's popularity is growing with each new model. In today's review we are taking a look at one of their top of the line 10.1-inch quad-core Android tablets - the NUMY 3G AX10. Ainol NUMY 3G AX10 is a very solid device but definitely not the best looking 10.1-inch tablet. Actually it reminds me a lot of the old Samsung Galaxy Tab / Galaxy Tab 2. You can get the NUMY 3G AX10 in two color options - black or white. The shiny plastics that surrounds the IPS display looks durable but attracts a lot of fingerprints. Thankfully the back of the tablet has more of a rubbery matte finish which provides you with a solid grip when holding the tablet. The tablet itself is not very light measured at 644 g which puts it among the heaviest in the segment. As I previously mentioned the NUMY 3G AX10 is Ainol's top of the line tablet so it is fully loaded with nice features. The tablet is powered by a very capable MTK MT8389 quad-core processor clocked at 1200 - 1500 MHz. This processor is particularly good for multitasking and runs very smooth even with heavier Android applications. The tablet comes with 1GB of RAM which many of you may consider a downside as most modern devices already have 1.5 - 2 GB of RAM. One of the impressive features of the NUMY 3G AX10 is its display. Here we have a 10.1-inch HD IPS multi-touch capacitive display with native resolution of 1280x800. It has very good viewing angles but it is still a glossy display so it returns a lot of reflections especially when used in direct sunlight and outdoors. With the Ainol NUMY 3G AX10 you also get fast WiFi N wireless connection, Bluetooth, GPS and 3G connectivity as well. The primary storage space in the tablet is either 8 or 16 GB depending on the version you buy and that is also expandable with additional 32 GB with the help of microSD card. Ainol NUMY 3G AX10 has two cameras on board - 2MP front facing and 5MP rear camera. 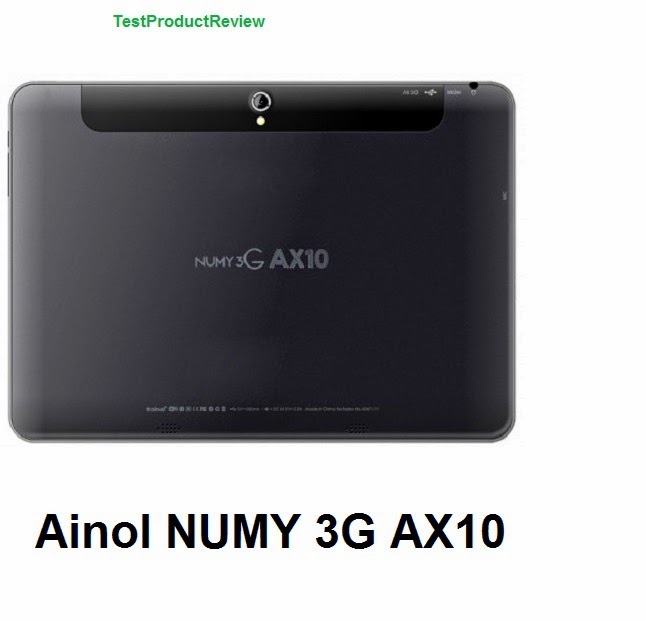 Ainol NUMY 3G AX10 usually comes with Android 4.2 operating system but I am not quite sure if an upgrade to a higher version is currently available. As you can see the Ainol NUMY 3G AX10 has great features and specs to offer and the biggest surprise here is that the price remained quite reasonable. You can easily find this 10.1 inch tablet for around $250 which seems more than reasonable considering all the mentioned above. I am also sure that if you search harder you will find even better deals online and get the NUMY 3G AX10 even cheaper which will make it a real bargain. 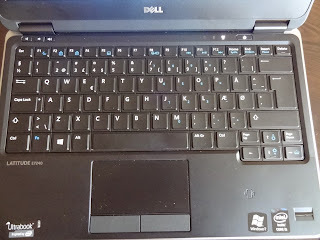 I would also recommend you to check the Ainol Novo Paladin 7 tablet review which was a real bestseller back in the days.